There’s a never-ending list of post-workout rules regarding what you need to eat and when you need to eat it. But sometimes, breaking these rules might work out better for you. You just killed your leg workout. As you hobble into the locker room, you reach into your gym back to grab a shake. But as you dig around, you realize you left your shaker bottle at home. Instantly, your blood pressure spikes, and your fight-or-flight response kicks in. In a mad rush to get that shake, you zip up your bag, grab your hoodie, and rush out the door. Sound familiar? Well, stop stressing about getting fast-digesting nutrients inside you the minute you finish your workout. I’m here to help you relax, and to show you that your meal timing—as well as the type of protein and carbohydrate you choose—don’t play as big a role as you might think in maximizing the recovery and muscle-building process. Maybe it’s time to remove unnecessary post-workout stress while still giving your body what it needs, when it needs it. No, you don’t. In fact, your pre-workout meal may be more important than your post-workout meal. Yup, you read that right. Digestion takes time. After a protein-rich meal, you can still have elevated levels of amino acids in your blood hours later. If you have a meal 2-3 hours prior to your training, there’s a good chance you’ll still have amino acids available to help minimize muscle damage during your workout. Rest assured that by consuming 25-35 grams of a lean protein before your workout, you’ll still have time to drive home at a reasonable speed, maybe take a quick shower, and then prepare your next meal in plenty of time to get the protein you need for post-workout rebuilding and repair processes. Strive to consume that meal within 60 minutes of finishing your workout. The purpose of the meal is to rebuild, refuel, and rehydrate you, so eat the appropriate amount of protein, carbohydrates, fluids, and electrolytes. Exceptions to the rule: The so-called “anabolic window” becomes more urgent if you haven’t had a pre-workout meal. Without it, you won’t have that protective layer of amino acids in your blood. If you’ve skipped the pre-workout meal, eat as soon as you can after your workout. Nope. In fact, doing so may leave you feeling ravenous shortly afterward. Yes, whey protein is the quickest-digesting protein available. But even rapidly digesting whey only gets absorbed at a rate of 8-10 grams per hour. Not so fast, huh? Although it’s significantly faster than digesting a lean cut of chicken, beef, or fish, whey protein isn’t your only post-workout protein. In fact, eating a lean cut of meat may have a more pronounced impact on your appetite. After all, it takes your body a little longer to digest it. And a longer digestion time means your body continues to receive the nutrients it needs until your next meal. Exceptions to the rule: If you tend not to feel hungry after a workout, a whey protein shake might be just the thing for you. After all, when you don’t have an appetite, it’s much easier to drink a liquid than chew a solid. If you delay your post-workout meal until you’re hungry, you can stress your system and have a harder time reaching your goals. Once again, it may not make sense for you to follow the rules. Ingesting a fast-digesting carb is not only unnecessary, it may make you hungry sooner. 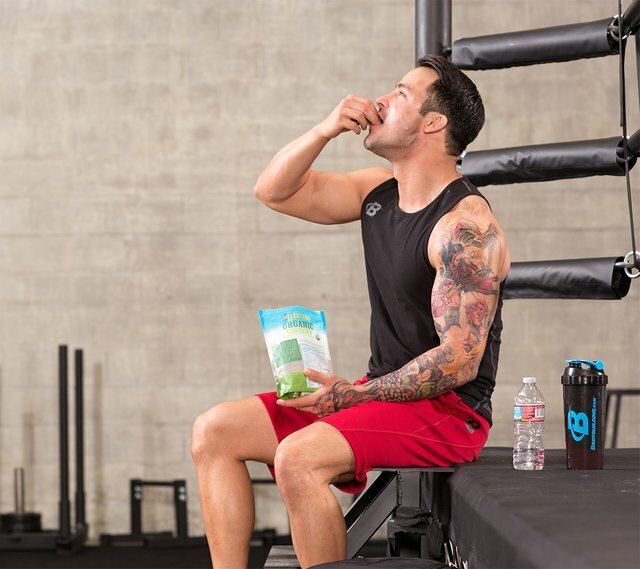 Adding fast-digesting carbs like dextrose or your favorite sugary treat to your post-workout meal can enhance the speed of glycogen replenishment. And this approach, compared to a high-fiber carbohydrate option, will speed carbohydrate replenishment, since fiber slows digestion. But as long as you’re eating enough carbohydrates (a number specific to your individual goals and training), your body will replenish your glycogen stores within 24 hours—which is probably about the time until your next workout. 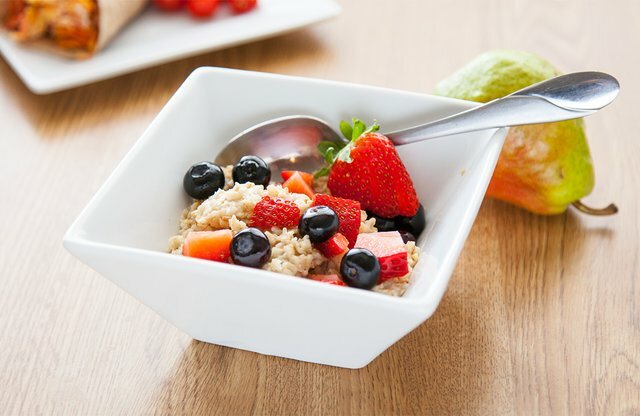 Having said all that, you’re still fine opting for oatmeal or brown rice after your workout. An often overlooked drawback of a sugar surge post-workout is its impact on appetite. Given the quick-digesting nature of sugary foods, your appetite is bound to come roaring back soon after you eat. This can leave you feeling famished a few hours before your next planned meal and make you do something that throws you off your diet. Exceptions to the rule: If you’re training twice per day, then it’s probably in your best interest to consume a fast-digesting carbohydrate right after your first workout. In this situation, speed of replenishment is crucial; beginning your second workout with low carbohydrate stores can set you up for a sub-par performance. Next articleAsk The Nutrition Tactician: Should I Eat Before Bed?